As many of you experienced for yourselves, our first venture into the world of the music festival turned out to be a tremendous success; a magical feast of music, food and wine, with the weather miraculously on our side throughout, which meant that the theme of Summer Songs was in tune with everyone’s mood. It may have been hard work on the part of the singing-students, certainly, who took part in intensive master-classes led by Stephen Varcoe, with Susi Morrow at the piano. But in the relaxed, informal atmosphere of Ansells Barn, which proved an ideal setting for classes and concerts alike, there was an air of enjoyment and conviviality too. After a day of workshops for the students, Saturday was rounded off by Andrew Marsden’s superb exploration of performances by the great singers of yesteryear, and what an inspiration these old masters of song were! It was utterly fascinating to admire differences and similarities in style and material over more than a hundred years of recording, and to see images of these vanished icons too. After a morning study-session on Sunday, our seven students presented a programme comprising some of the songs on which they’d been working with Stephen. 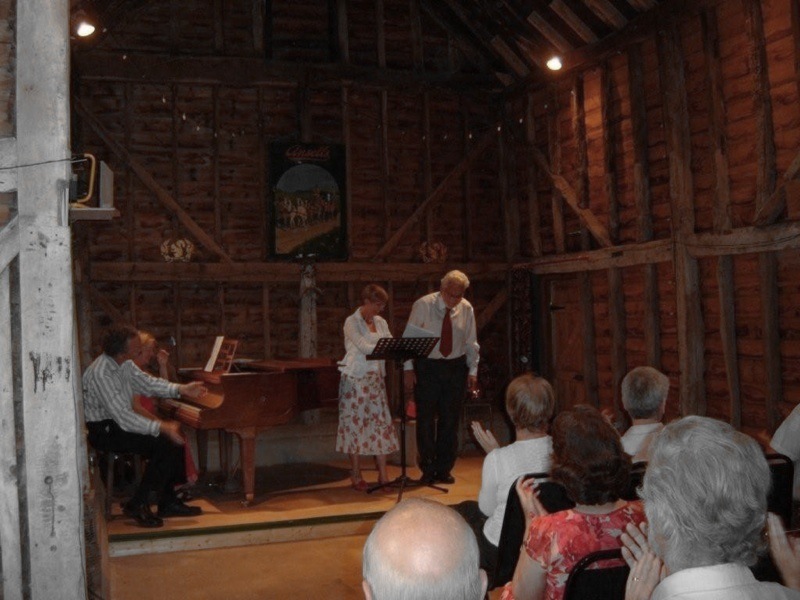 This delightful afternoon concert (during which the performers’ composure was briefly challenged by a power cut) was followed by scrumptious homemade cakes and tea in the June sunshine, while the roses and pansies bloomed around us and the swallows flitted in and out of the barn where their young joined in the singing! 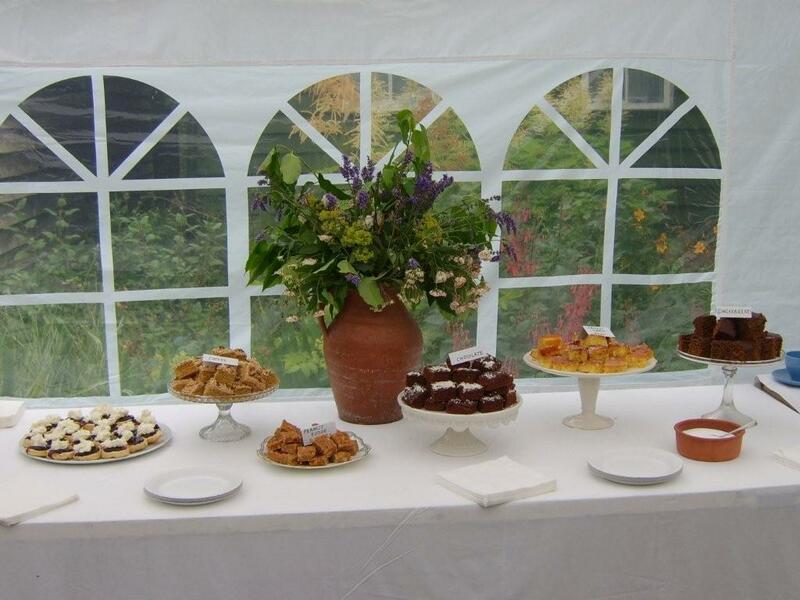 It was idyllic, and we were glad so many local folk chose to join us for all or some of the events on offer. 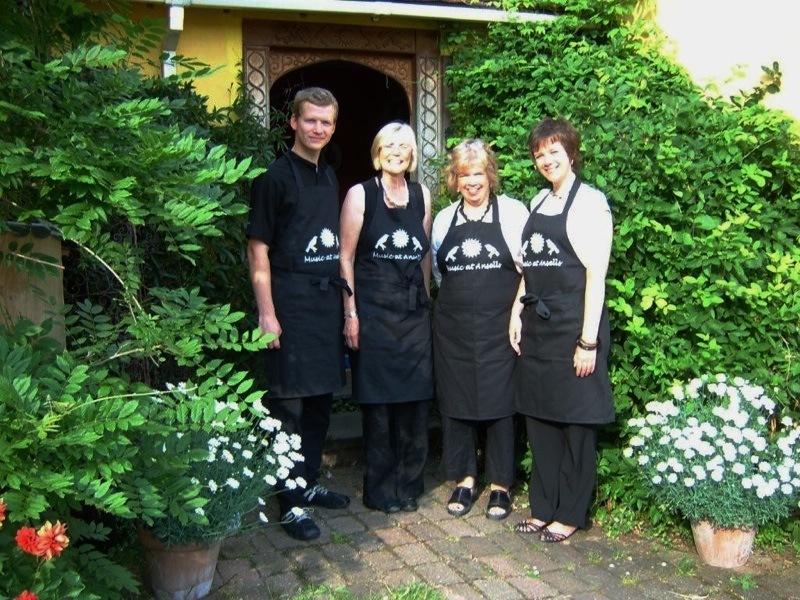 Heroic quantities of delicious food were prepared by Melinda for the participants, and the Music at Ansells team proved efficient and discreet wine-waiters to the concert-goers. For those of you who missed the weekend, don’t despair – plans are already afoot for next summer, after unanimously positive feedback from both participants and audiences.